Ok, here's one of the hardest challenges yet. 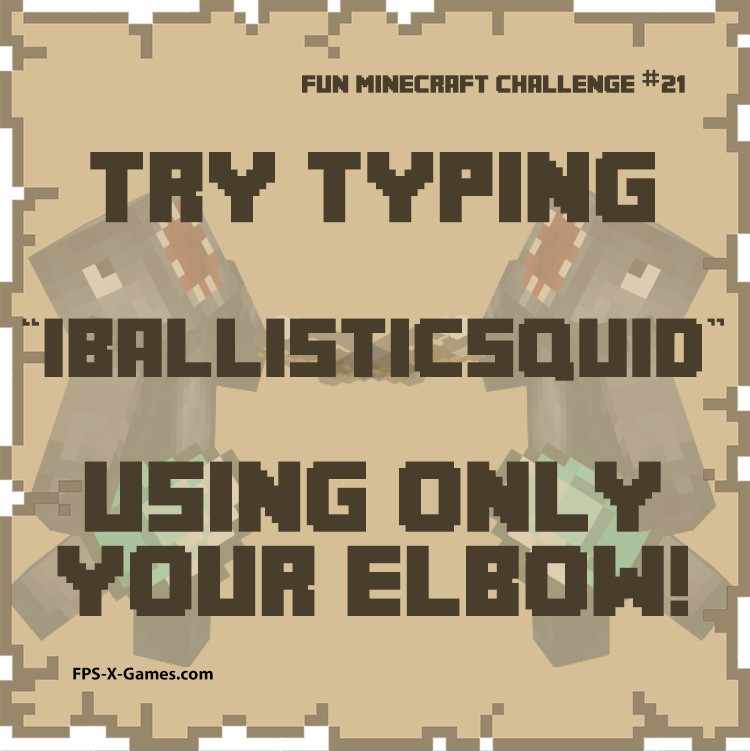 Number 21 Fun Minecraft Challenge, try typing iBallisticSquid using only your elbow, it's impossible! Fun Minecraft Challenge No14 - Caption This!